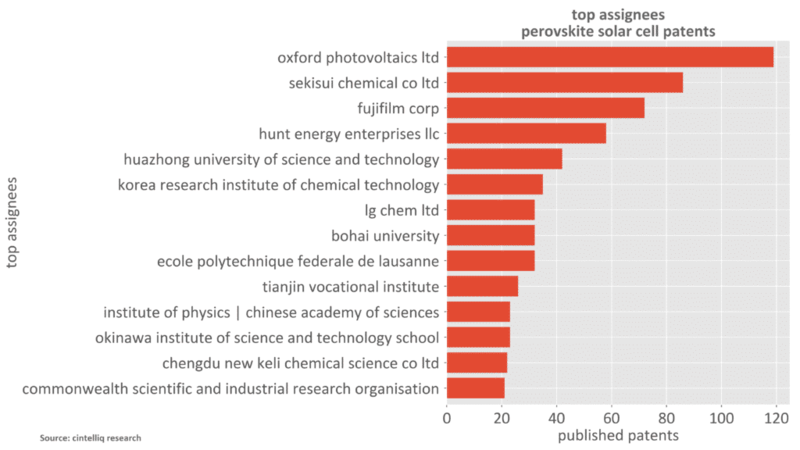 Since the publication of the Henry Snaith paper on perovskite solar cell technologies in 2012 there has been an explosion in the number of organisations focusing on developing and commercialising the technology. This has given rise to an explosion of patent filings. Year on year growth has been rapid with more than 1,400 patents published within the past two years. 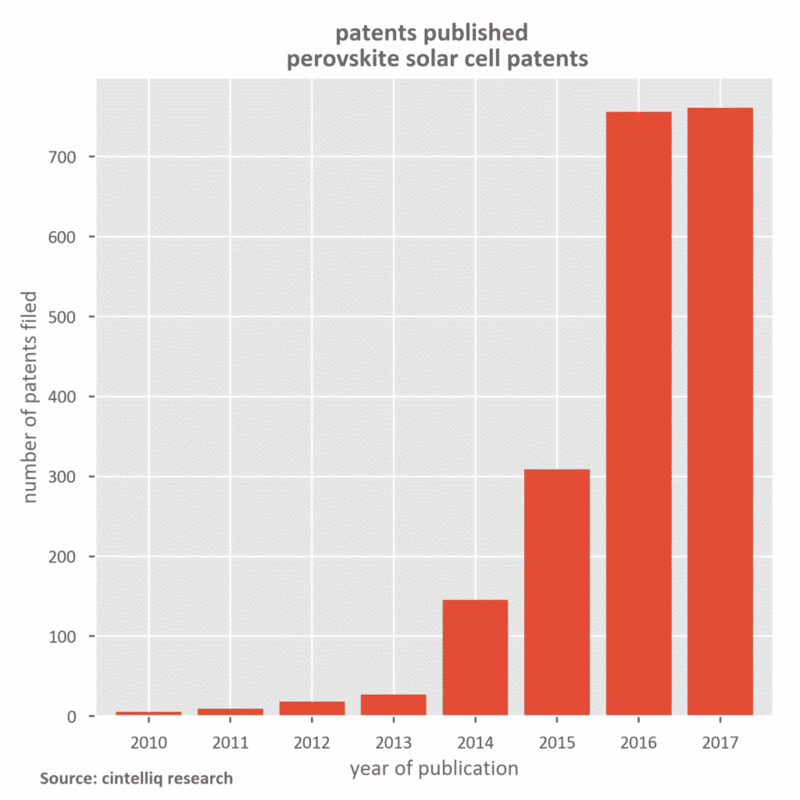 Cambridge, UK, 13th February 2018, The latest perovskite patent landscape report from cintelliq finds explosive growth in perovskite photovoltaic patent publications over the past two year. 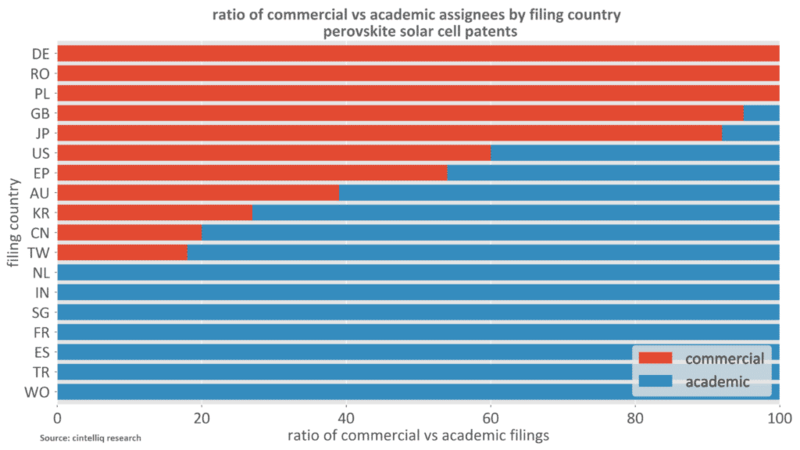 In 2016 and 2017 more than 1,500 patents have been published representing 75% of all perovskite photovoltaic patents published since 2008. 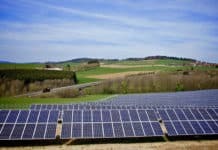 The catalyst for this growth in perovskite photovoltaic patents can be traced back to the publication of an academic paper in 2012 by Henry Snaith et al on perovskite solar cell technologies which showed it was possible to improve power conversion efficiencies to more than 10.9% and at the same time offering route towards a low-cost manufacturing process. The total number of patents published to the end of December 2017 is 2,030 and filed by 396 distinct assignees. The growth in patents published between 2016 and 2017 is staggering – 75% of the current published patents appeared in these two years. These published patents arise from innovations that occur in previous years. 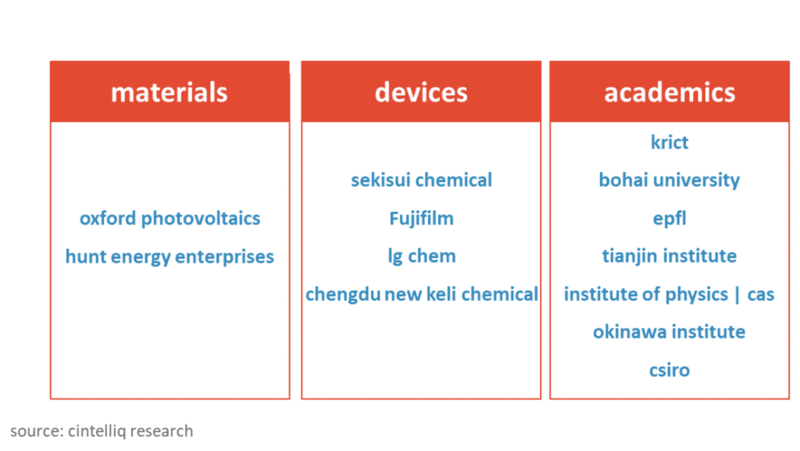 The chart of yearly patent filings shows that many of these patents were filed over the period 2013 – 2015. As can be seen there are fewer patent filings in 2016 and even less in 2017. However, this is not a rapid fall in filings, but side effect of the length of time it takes to go from initial filing through to initial publications. 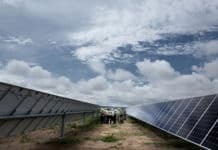 The considered consensus is that patent filing of perovskite photovoltaic technologies will continue to grow for the foreseeable future. One surprising finding from the patent landscape study is that a single UK based company Oxford Photovoltaics Ltd holds 119 published patents 33 patents more than second place Sekisui Chemical Co Ltd. Oxford Photovoltaics Ltd is a spin-out company from the University of Oxford and based on the work of Henry Snaith who currently holds the position of professor in physics in the Clarendon Laboratory at the University of Oxford. Further, analysis reveals significant regional differences in the patenting activities between commercial and academic assignees. At the moment academic assignees account for 1,111 (55%) of these published patents, and commercial assignees for 805 (40%) with the remaining 6% published patents by jointly owned patents (84) and those from independent assignees (30). 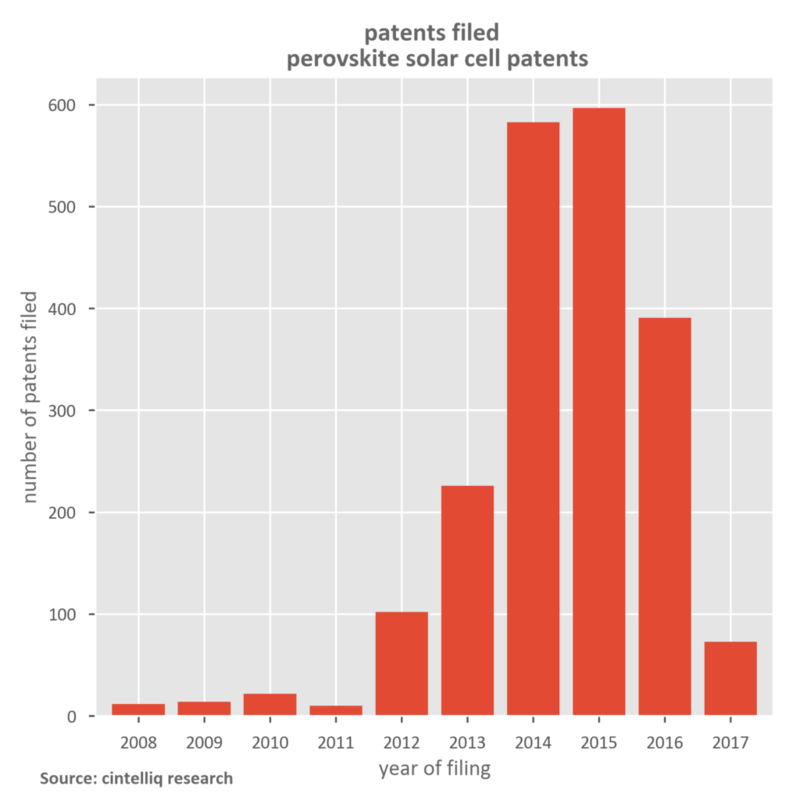 The latest cintelliq report – “Perovskite photovotiacs: A review of the patent landscape – 2018-Q1”. 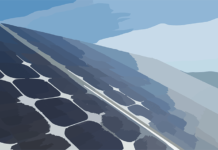 This latest report covers patents up to the end of December 2017, provides a comprehensive review of the technology development and commercialisation of this challenger to silicon photovoltaics. The report analyses who is actively filing patents, what they are filing, what technologies are being developed, how this will change over time, what patents are most cited, who is citing which patents, and how the patent landscape will evolve.